The Brazilian startup EverWrite is the winner of RBS Prize for Entrepreneurship and Innovation, with Ledface and Igluu taking the second and third places, the competition’s curator Bob Wollheim just announced. As you may remember, 12 Brazilian early-stage startups had been shortlisted to pitch their projects to PREI’s jury today and compete for a trip to Silicon Valley (see our previous story). The winning startup, EverWrite, will no doubt make good use of this free stay in Silicon Valley. As we reported a couple months ago, the company, which provides publishers with a tool to adapt their content to users’ demand, was born in Belo Horizonte, but is currently in the process of moving to the US. Besides the trip, EverWrite will also receive R$50,000 (US$28,800), as well as mentoring sessions. As for the Campinas-based Ledface, a promising crowdsourced Q&A platform which we have reviewed here, its second place means that it won R$25,000 (US$18,100) and mentoring sessions in partnership with Endeavor. 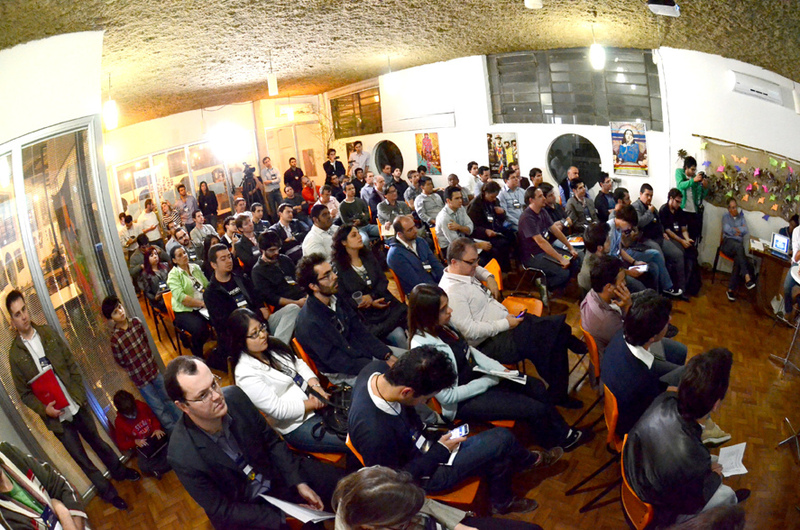 Besides its R$10,000 (US$5,750) prize, Igluu also won mentoring sessions, a concept it’s no stranger to. The company, whose tagline is “Making Meals Simple”, is currently participating in 21212’s acceleration program, which involves tons of mentoring (see our story about 21212). Winning these awards could be particularly meaningful for these companies, starting from the exposure every finalist got by pitching their projects today. Although startup competitions have mushroomed in Brazil over the last month, RBS Prize for Entrepreneurship and Innovation (PREI) doesn’t have to worry. Backed by the powerful Brazilian media group RBS, the competition boasted a prestigious line-up. Besides the usual suspects from Brazil, such as Yuri Gitahy from Aceleradora and Eric Acher from the VC firm Monashees, today’s speakers also included big names from the US, such as Dave McClure, whose accelerator 500 Startups is already working with two Brazilian startups, Rota dos Concursos and ContaAzul. The schedule also featured a conference by Ron Berman on the Startup Genome (see our previous story). As you may know, the ambition of the Startup Genome is to identify the patterns of successful Internet startups. Do EverWrite, Ledface and Igluu have what it takes? If PREI’s jury is to be believed, the answer is yes. Are you familiar with the winners? Let us know in the comments.